We have been invited to the studios of WCCO Television to discuss the world of Grower Champagnes with their superstar reporter Jason DeRusha. We will be talking about three wines in particular to profile different parts of the Grower Champagne movement. This segment will air Saturday morning, December 29th, during the 8:00 hour. To help follow up on their report, here are more details on the wines presented (and at the far end of the post a list of where to purchase these gems). When you hear Hebrart owns 38 acres of land, a Minnesotan is inclined to imagine standing at the corner of a field, watching Jean-Paul Hebrart open his arms wide and proclaim “Here are my 38 acres!” But the truth is far more complicated: he owns 38 acres of land across 68 different parcels. So imagine, if you will, the complexities involved in harvest of those 68 parcels, many of which are planted to multiple varietals. This is part of the magic of the grower-producers: they are working their own land instead of waiting for the truck to arrive with the goods (in Champagne it is legal, and all too common, to purchase finished sparkling wine en masse and blend into a selection … travel in Champagne is frequently interrupted by tanker trucks whaling down the freeways). 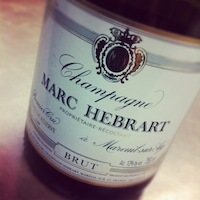 The main characteristic of Hebrart Brut, besides its price (often the same price or even a touch less expensive than the Yellow Label That Shall Not Be Named), is the combination of absolute top quality Premier Cru Pinot Noir from Vallee de la Marne with absolute top quality Grand Cru Chardonnay from the Cotes de Blanc. To combine these stunning parcels into a bottling of this price is crazy … and lucky for the consumer! Jean-Baptise Geoffroy is perfectionist in the most perfect and precise sense of that word, which is a great trait to have in the complicated world of Champagne. This level of perfection almost forces him to be doing his own thing, for he would be over-bearing in his demands if working for somebody else. An example: when the grapes are harvested and brought in for pressing, the first pressing is of the highest quality. 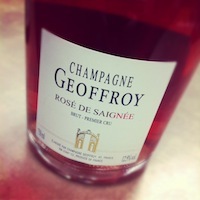 While most Champagne houses continue the first pressing until 2000 liters are released, Geoffroy limits it to 1800. This may not sound like much, but in the end he’s reducing the amount of the first press by a full 10% just to keep to his own high standards. Economically, it makes zero sense, for most consumers wouldn’t notice the ever so slight shift in the bottle. But that’s the beauty of grower-producers: they do what they want, not what a spreadsheet tells them to. The color of this wine is dynamic: a full frontal blast of cranberry hued goodness. It’s a Saignee, which is French for ‘the bleeding’. Rather than add still (non-bubbly) Pinot Noir and Pinot Munier to the Champagne to achieve the pinkness, they make this from a gentle pressing (i.e. “Bleeding”) of the red grapes at the time of crush. It’s a painstakingly difficult process, but one Jean-Baptise is up for. Three things of note for this wine: The producer and his love of Chardonnay, the quality, and the Special Club designation. While Pinot Noir and Pinot Munier might constitute the bass and rhythm of the region, Chardonnay plays the special role of the lead singer, the Bono or Mick, the frontrunner, the one that often defines who you are as a producer. Why? It’s high toned, it’s lovely, it’s precise, it’s bright, and it perfectly delivers all that goodness you want in a glass of Champagne. And there are few people in the land more in love with this varietal than Didier Gimonnet. He owns some of the oldest parcels in the region (and Champagne is notorious for young vines), averaging 40 years and at times upwards of 100 years old … unheard of anywhere. He cares for these vines as his children, and the loving care translates into wines so sublime they defy description (even for his ‘entry level’ Premier Cru Blanc de Blanc). The quality of this wine is simple to define: it’s his best wine, period. There is no ‘higher rung’ on the ladder. There is no super-uber-reserve under the table. 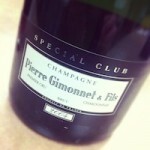 This is the gold standard for Gimonnet and the 2004 vintage. But it gets better than that…. This is a Special Club. Here is the skinny on this most exclusive of groups. Twenty six members. All small grower-producers. They wanted to form a group to help counter the bigness of the big houses, while offering something truly special to the wine world. The members gather every year to taste the best of the best vintages from the members, and decide as a group who is allowed to release their wines as a Special Club (and use the Special Club bottle). This tasting is performed blind, and not all wines make it through (embarrassingly, producers have sometimes rejected their own wine when presented in this peer format). 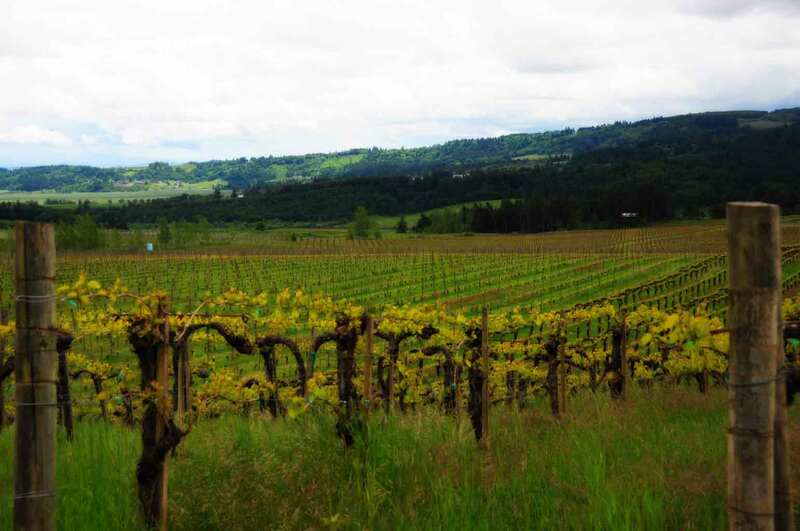 The wines that do make it through indicate a small production of truly monumental wine: best wine, from best vintages, from the top small producers, chosen by their peers. It’s a special club indeed. Following is a list of accounts that have purchased these wines in the previous twelve months. Please call ahead to assure availability. Accounts are listed alphabetically by city.